Ever feel like something you wanted to do was impossible, or felt limited by the circumstances of your life? We all have things to face in life that feel bigger than we are. It may be the idea of the uncertain future that we’re not sure we are ready to face. Other times we are struggling with real and pressing trials that are wearing us down. There are many ways that life stops us, wears us down, and saps our energy. Wouldn’t it be nice to have as many ways to build our energy back, and to know that we can meet those trials with certainty, energy, and free from fear? What if you could experience that you’re capable of doing the impossible, raising your energy and having the feeling of your fears shrinking from mountains to molehills? Breakthrough your limitations and realize all that you are capable of. 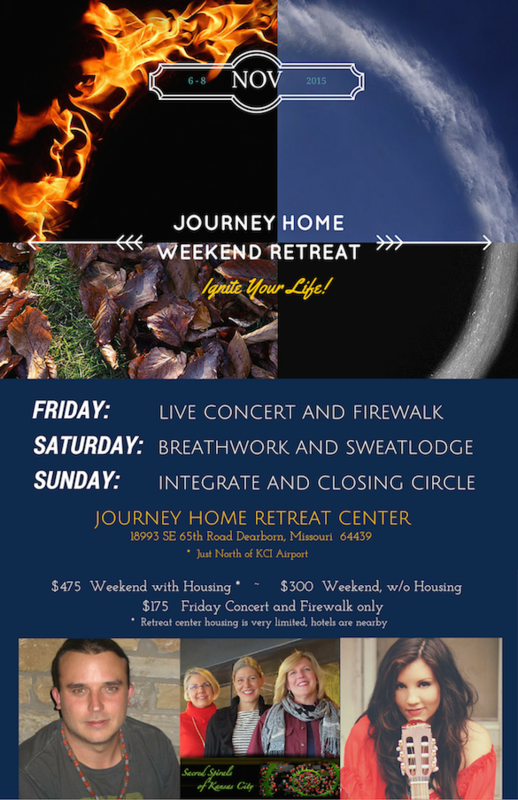 This Firewalk, Breathwork weekend kicks off with a live concert and winds down with a sacred Sweat Lodge ceremony. This is a powerful weekend designed to do more than inspire, it is designed to transform our lives and our relationship to our power and potential. Space is very limited so sign up now! Click on the image below to purchase tickets for Friday only. Once you have purchased your tickets you will be redirected to a new page to print your tickets. You must have your tickets to enter. 2) You can participate in all the events and stay at one of the nearby hotels, we have arranged a special rate for the event. 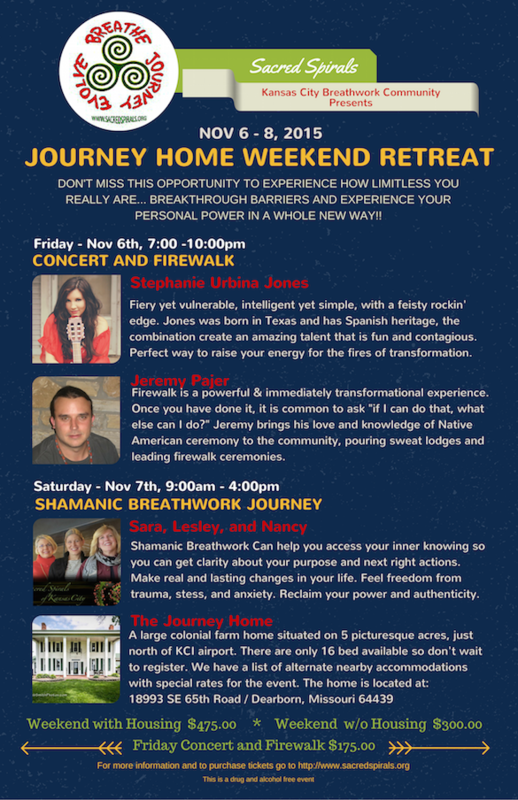 You have access to the live concert and firewalk on Friday night then return Saturday morning for a full day of Shamanic Breathwork journeying. This is a form of conscious breathing that is activating, energizing, and inspiring. It allows the journeyer access to multiple “other states of consciousness” in what could be called a conversation witht he soul. We often come out of these states with information and energy that was unavailable to us without accessing these other levels of consciousness. We wrap up the day with a Sweat Lodge ceremony led by Jeremy. This ceremony is a time and space of spiritual refuge, mental, and physical healing. It is a place to get guidance from spiritual entities, totem helpers, and Creator. Mother Earth assists participants to gain needed wisdom and power. Whether you choose to enter the lodge or not, the ceremony will bring powerful healing to everyone nearby. Click on the image below to purchase tickets for All Weekend Events. 3) You can participate in all the events and stay on site at the retreat center, in dorm style rooms, with all meals provided. You have access to the live concert and Firewalk on Friday night, the Shamanic Breathwork and Sweat lodge ceremonies on Saturday, and the closing ceremony on Sunday morning. You can relax into the space and allow your spirit to open fully to the healing that is available to you, relaxing in the knowledge that you do not have to drive in an altered state of consciousness that and ONE of these four powerful ceremonies will initiate. Click on the image below to purchase tickets for Full Accommodations. Previous postWho Greased My Spiral? Next postSept. 29 Radio Interview with Spirit Seeker Blog Radio!